Evolutionary algorithms (EAs) are particularly suited to solve problems for which there is not much information available. From this standpoint, estimation of distribution algorithms (EDAs), which guide the search by using probabilistic models of the population, have brought a new view to evolutionary computation. While solving a given problem with an EDA, the user has access to a set of models that reveal probabilistic dependencies between variables, an important source of information about the problem. However, as the complexity of the used models increases, the chance of overfitting and consequently reducing model interpretability, increases as well. This paper investigates the relationship between the probabilistic models learned by the Bayesian optimization algorithm (BOA) and the underlying problem structure. The purpose of the paper is threefold. First, model building in BOA is analyzed to understand how the problem structure is learned. Second, it is shown how the selection operator can lead to model overfitting in Bayesian EDAs. Third, the scoring metric that guides the search for an adequate model structure is modified to take into account the non-uniform distribution of the mating pool generated by tournament selection. 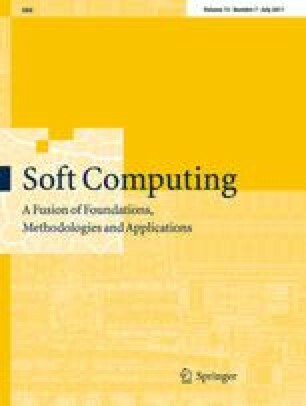 Overall, this paper makes a contribution towards understanding and improving model accuracy in BOA, providing more interpretable models to assist efficiency enhancement techniques and human researchers. The views and conclusions contained herein are those of the authors and should not be interpreted as necessarily representing the official policies or endorsements, either expressed or implied, of the Air Force Office of Scientific Research, the National Science Foundation, or the US Government. This work was sponsored by the Portuguese Foundation for Science and Technology under grants SFRH-BD-16980-2004 and PTDC-EIA-67776-2006, the BBSRC under grant BB/D0196131, the Air Force Office of Scientific Research, Air Force Materiel Command, USAF, under grant FA9550-06-1-0096, and the National Science Foundation under NSF CAREER grant ECS-0547013. Fernando Lobo is also a member of the Center for Environmental and Sustainability Research (CENSE) and acknowledges its support. The work was also supported by the High Performance Computing Collaboratory sponsored by Information Technology Services, the Research Award and the Research Board at the University of Missouri in St. Louis. The US Government is authorized to reproduce and distribute reprints for government purposes notwithstanding any copyright notation thereon.